Why not throw some tech into your training? 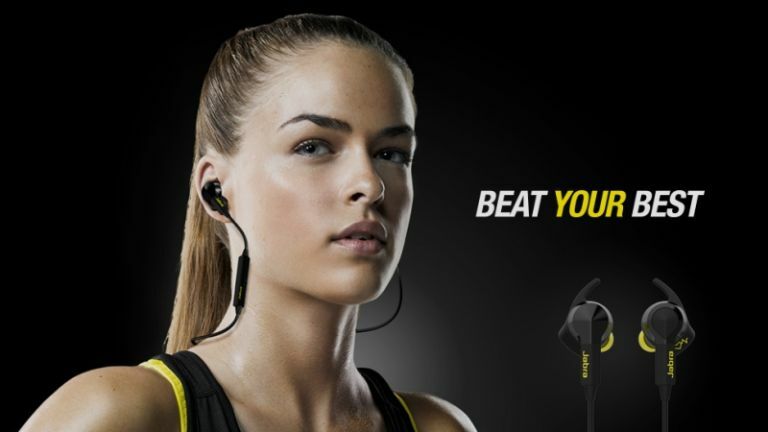 The new buds tout an in-ear biometric heart rate monitor, Dolby Digital sound, and real-time 'voice coaching'. The Sport Pulse earphones pair with Jabra's dedicated Sport Life app to help you plan, track, and evaluate your workout. The tech can make you savvy to optimum heart rate zones, aerobioc capacity, calories burned, and general fitness level. "Jabra has a strong legachy of innovation in wearable technology," says Darcy Clarkson, Senior VP at Jabra. "Sport Pulse wireless is the next generation of intelligent audio solutions for fitness fanatics that allows our customers to work out with the confidence of clinical precision." Aside from all the fancy fitness fare, the headphones also play music wirelessly, with customisable sound options and personalised audio coaching for mid-tune feedback. Jabra's latest wares aren't shabby looking either, encased in carbon fibre and shipping with a 'sweat- and storm-proof' promise. They're also designed to be as lightweight (0.56oz) and form-fitting as possible, so you're not burdened by heavy and hideous lug-huggers. Jabra says its wireless in-ears will be landing in October, although we're not yet sure how much the healthy headphones will mark-up at just yet.